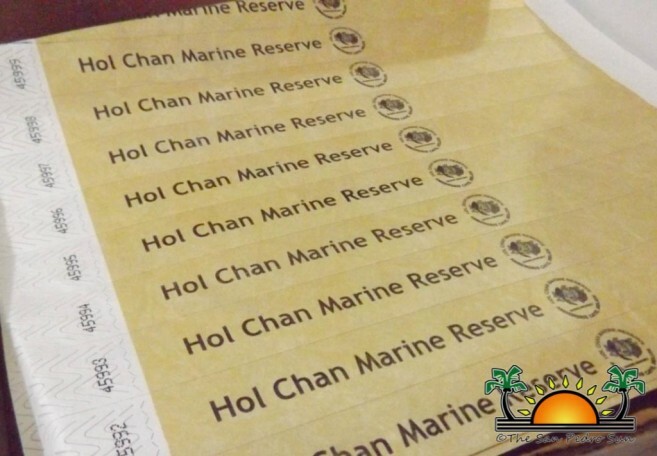 The administration of the Hol Chan Marine Reserve (HCMR) has been working with their stakeholders on the new implementation of ‘Dive wrists Bands,’ for all paying visitors at the Hol Chan Marine Reserve. 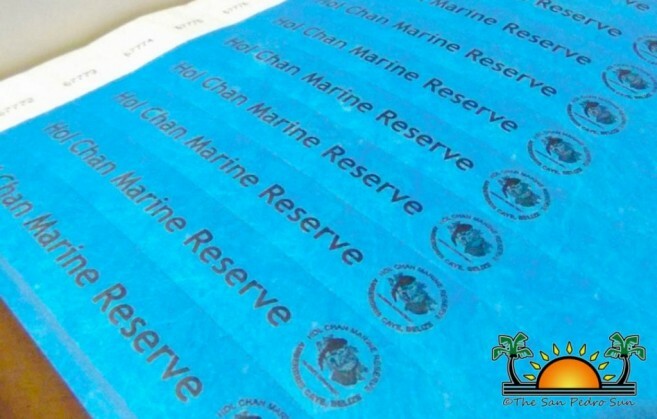 The introduction of the wrist bands will have no effect on the current user fee, which remains at $20BZ, and is good for a full day pass in any of the recreational zones within the reserve. The HCMR recently experienced a massive expansion, and presently covers over 420 square kilometers. Besides Shark Ray Alley and the Hol Chan Channel, the reserve now includes Mexico Rocks north of the island. Furthermore, night dives are becoming a lot more popular, requiring rangers to work extend hours. According Miguel Alamilla, Manager at HCMR, the introduction of the wrist bands was necessary after the expansion of the reserve. “The wrists bands will provide us with a better understanding of who all visit the different recreational areas of the reserve. The bands will also be good for night dives,” he said. “We have increased the number of park rangers in order to cover more surface area, and provide the necessary service and assistance to visitors and tour operators.” The wrists bands are made of a waterproof material, and are colored-coded, each day of the week will have its own assigned color. However, a few tour operators are not too optimistic. They claim to be confused, and find the different colored-coded bands a bit inconvenient. They believe it will just not work. Others however, expressed that it is a good idea. They shared with The Sun that even though it might create confusion in the beginning, and perhaps a bit more delays when getting tourists to wear the bands, they are willing to work with the new system. A few tour guides did wonder how they would access the wrist bands on weekends when Hol Chan’s office is closed. Alamilla indicated that dive shops with a credit agreement will be provided with wrist bands in advance of payment. The issuing of vouchers will still be required, and the administration at HCMR explains that in cases whereby tour operators have purchased entrance tickets by bulk, wrist bands can be obtained via the park ranger at the reserve. The Board of Trustees at HCMR looks forward to the cooperation of everyone in the success of this new implementation. Hol Chan Marine Reserve is the oldest in the country. Hol Chan is Mayan for ‘little channel,’ and was established in 1987.